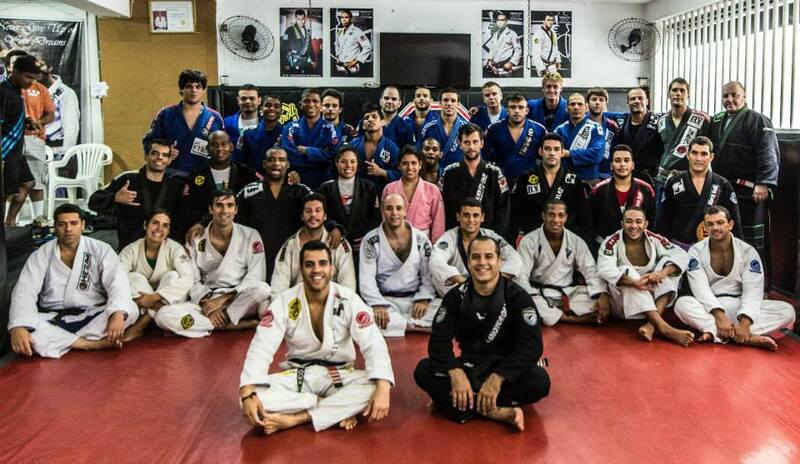 The Checkmat Jiu Jitsu organization is one of the most successful teams among the juggernauts of BJJ. The team appeared in 2008 after a break up between, the Vieira Brothers and the board of their previous team, Brasa Clube de Jiu Jitsu. Though Checkmat is still in its embryonic stage when comparing to some of the more established teams, they have hit the ground running and quickly stacked up medals at some of the world’s most important tournaments, while consistently pouring to the Jiu Jitsu stream excellent quality black belts such as Marcus Almeida “Buchecha”, Gabriel Lucas, or Joao Assis (to name a few). The Checkmat organization has also spread fast throughout the world having already franchises in at least 16 different countries. The team was founded by two brothers, Leonardo Vieira and Ricardo “Rico” Vieira, who belonged to an elite generation of grappling competitors raised under the Alliance team camp in the late 1990’s. After a series of quarrels between the team and the main Alliance coach (Fabio Gurgel) many of the fighters who belonged to this famous formation were expelled from the group (in 2002), which propelled this gang of “Ronin” to form their own academy. This team (Brasa) had in Ricardo and “Leo” two of its main figures. The Brasa team command was divided among a few of these fighters and, according to the Vieira brothers, lacked serious leadership and direction. For these reasons the brothers decided to break their bond with Brasa and launched their own endeavor, the Checkmat team which was founded in 2008, bringing their friends “Chico” Mendes and Sebastian Lalli on board, to former a stronger alliance. At the time the team was formed, Leo Vieira had taken an interest in Chess which led to the name. The essence of the name brings out what both games (Jiu Jitsu and Chess) have in common; an essential hierarchical order, from the pawn to the king (from white belt to black belt), a chess board which is much like a mat (square pieces put together), they are both strategic games and by definition of the name itself “Check Mat” means King (Check) and Mat, so logically King of the Mat. Though it has not been confirmed, the Checkmat organization was launched on the second semester of 2008, possibly making either Marco Canha (late 2008) or Joao Assis (early 2009) as the first black belts under the team banner. Checkmat has had a strong and benevolent influence in the Rio de Janeiro slums of “Cantagalo” through Ricardo Vieira, who is the leader of the Projeto Cantagalo, a project linked with the VB Team (Vieira Brothers) that works with the communities of Cantagalo, Pavão and Pavãozinho. The objective of the project is to occupy kids and adolescents in their spare time, making them aware of sports and a healthy lifestyle while taking them off the predominant gang mentality that echoes in these neighborhoods. The Projeto do Cantagalo reaches hundreds of different youngsters every month and has produced talented competitors such as Bruno Matias, Alan do Nascimento, amongst many others. 2011 Ida placed 2nd at middle Nicolini won feather and luiza lost to luanna at light(luiza might have switched camps to alliance). feel like Nicolini at least placed in 10, and 09. Right under other checkmat info no love for them. Not tryin to be picky its just that as a male with a daughter who trains I cant help but notice how chauvinistic many of the aspects of the bjj community still are. Might not seem like a big thing to you guys but it is to an introverted 11 yr old, know need to post this I'm just sayin. I wouldn't say the BJJ community is chauvinistic at all. 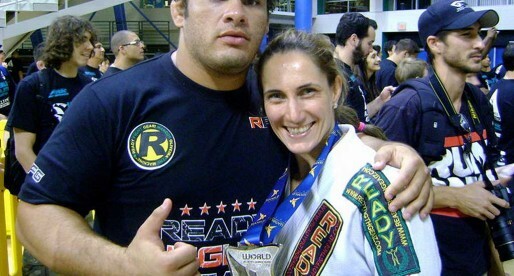 I was at ADCC this year and I was supporting Michelle avidly, and I thought that Hannette Staack was one of the most technically exciting fighters at the tournament. I'll admit that there were much less female competitors, but that's because the women's BJJ game is much more under-developed than the men's. For example, the women's having to have a black/brown belt finals at the World Championships combined, as there aren't enough high level black belt women's competitors. In the end, the women's game is advancing and in a few years will be recognised just as much as the men's game will be. How many world champions and medal placers does check mack have at the belts out side of black and brown? what about marcelo mafra hes pretty up their?? 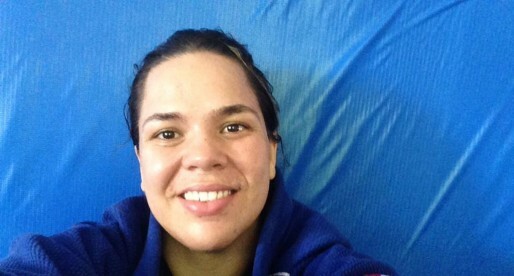 Leka Vieira is part of team Chekmat now too.